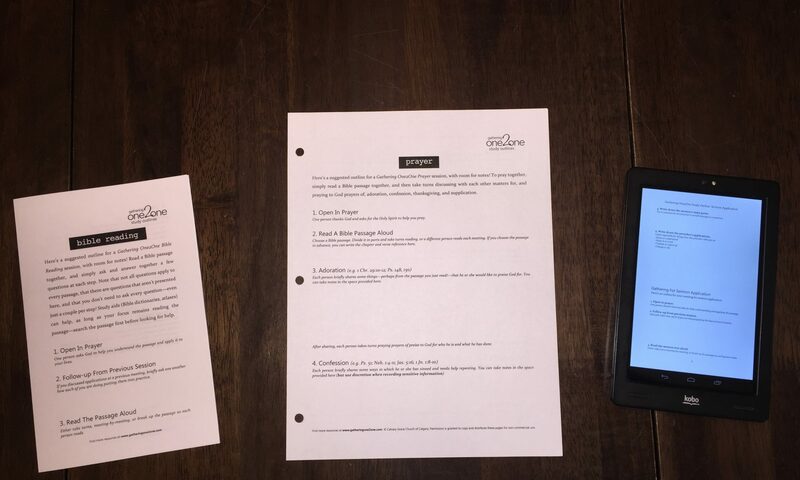 Gathering One2One Study Outlines are one-page double-sided guides that give you a suggested outline for a one-to-one session of either prayer, Bible reading, or sermon application, complete with suggested questions and room for your notes. The meeting outlines and questions are intended as general guidelines and suggestions only. You can feel free to adapt and change the plan if it works for you! Gathering One2One is a ministry of Calvary Grace Church of Calgary, Alberta.